Model Vanity Media is pleased to be attending Viva Las Vegas 2011 with the BodyArtBus.com Viva Las Vegas is a celebration of Hot Rods and pinup lifestyle of years gone by. A car show, Tiki Pool Party, Burlesque competition, fashion show and so much more. Rods and vintage motorcycles will be on display as part of the 4 day weekend. Model Vanity is excited to be a Media and syndication partner for Body Art Bus. 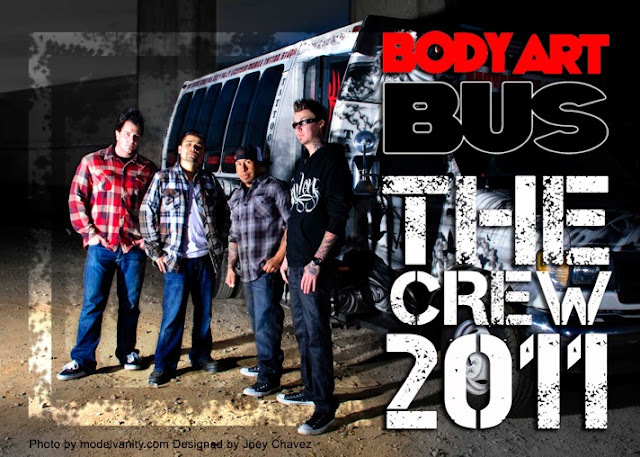 MV will help to deliver some of the video and photos from Body Art Bus as it travels from venue to venue. We will also partner in helping find the next Body Art Bus Babe for calenders and promotional items. And of course, any talent or models looking for tattoos now have an official Model Vanity Tattoo Artist team! 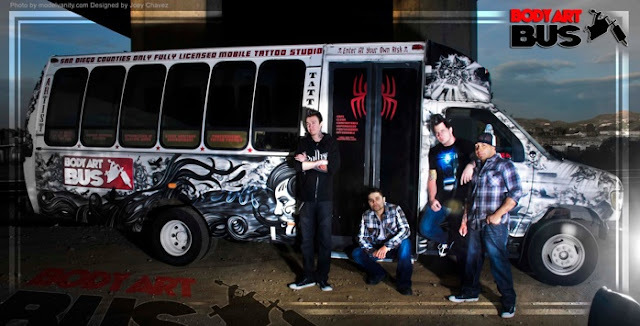 Body Art Bus is California's leading and exclusive Mobile Tattoo Shop and has been invited to be part of Viva Las Vegas. The staff of Body Art Bus will be available by appointment to create sensational and award winning tattoos live at the event. This debut Las Vegas Nevada appearance by the crew of Body Art Bus marks many milestones for the young artists and Model Vanity is proud to be supporting them in the Vegas event with Media and exclusive photo coverage.